This is a quarterly subscription box. It cost between 26 to 24 dollars depending on the type of subscription you choose. You get 7 to 8 deluxe samples and it says to have a value of minimum 70$. The only thing that bothers me a little is that they charge your credit card 2 months before you receive your products. I already have this product at home and I like it a lot. 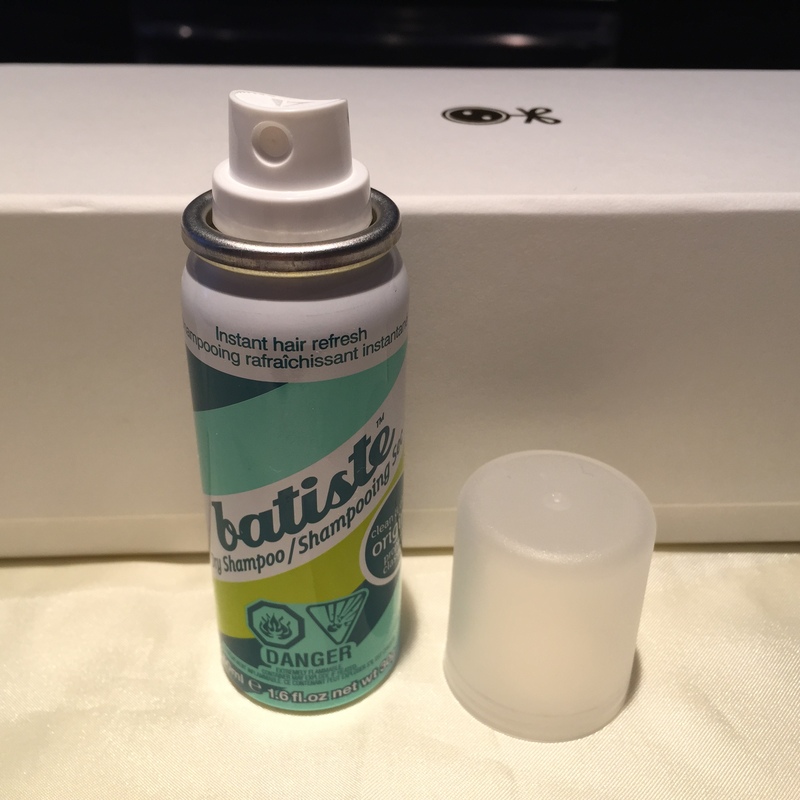 I use it on days when my hair doesn’t look very fresh. It has a light smell and my hair does look less oily. It has the typical sunscreen smell. It is quickly absorbent, which is great. Even if the consistency is a little ticker, it does not create break outs. 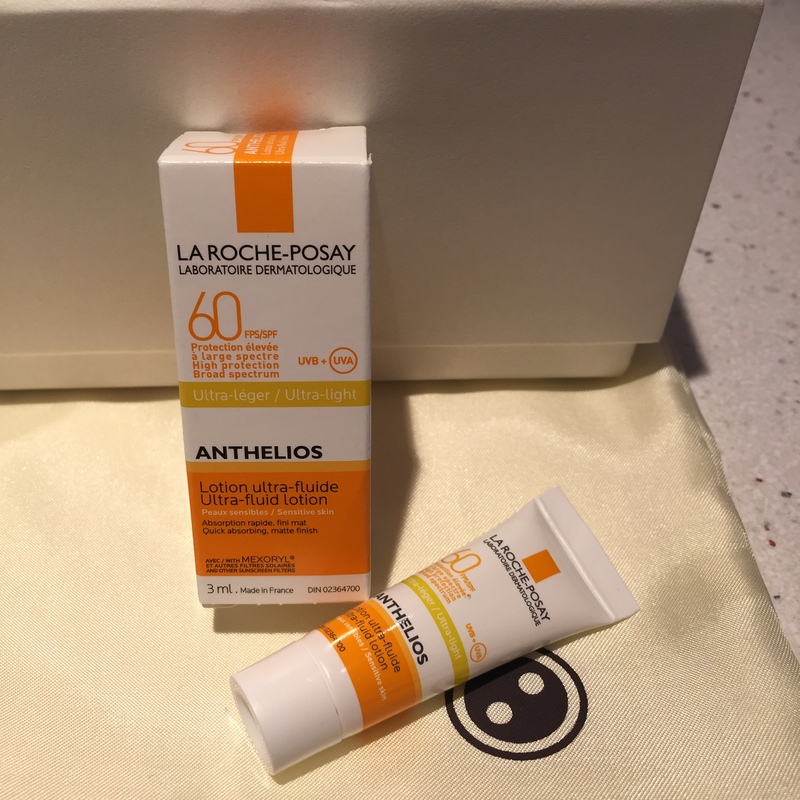 I like receiving products like this because it is a good remember to protect your lovely skin in the sun! 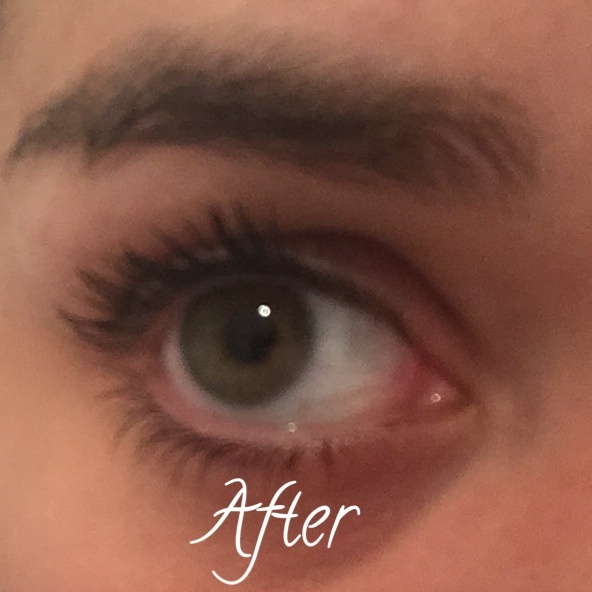 I was surprised to see how long my lashes became. 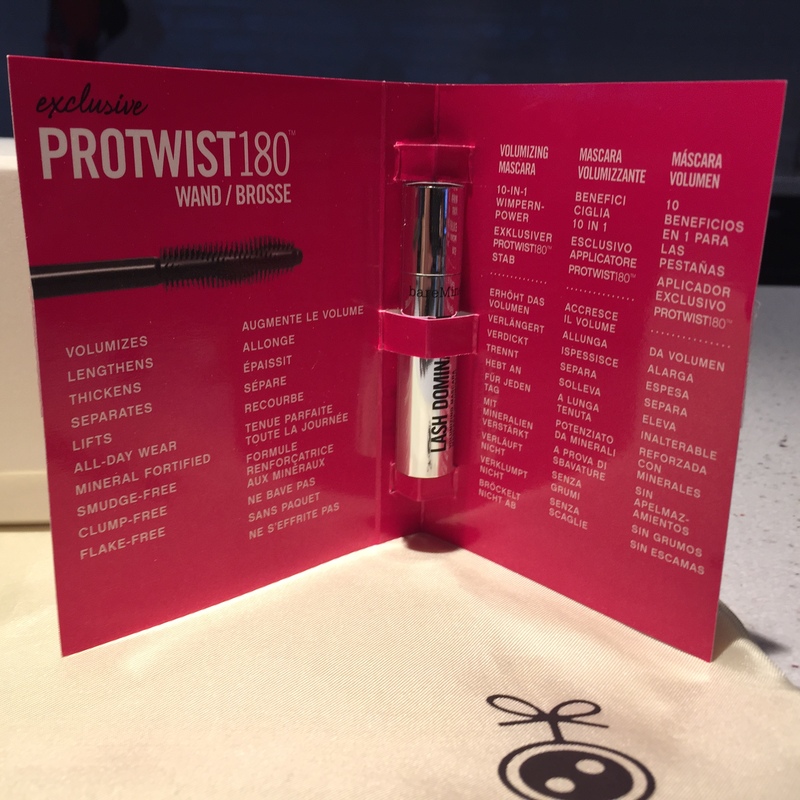 The product is very light you forget you are wearing makeup. I like this one a lot. It’s a nice light pink. However it is very sticky. I swatched it on my hand and after I used a wipe to clean it off, there was still lipgloss on my hand. 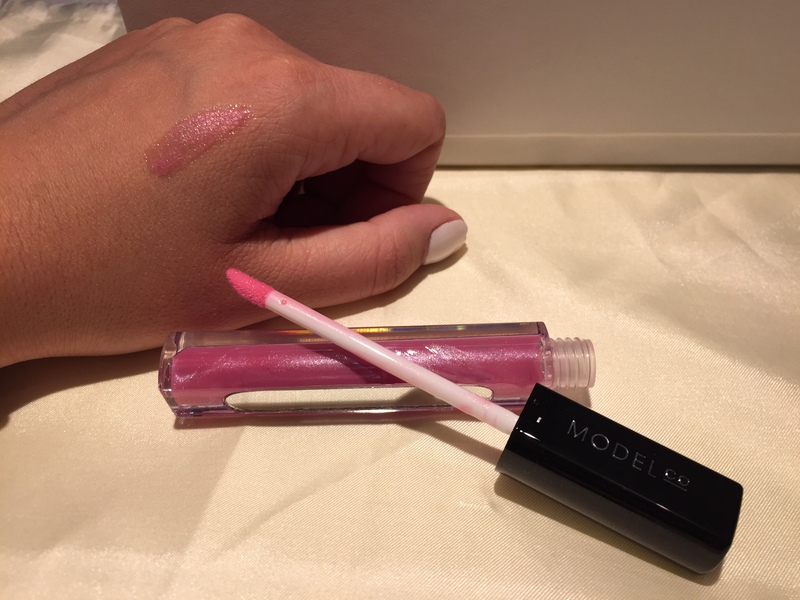 I then tried it and the same thing happened, when the lipglosse runs out my lips stay sticky! 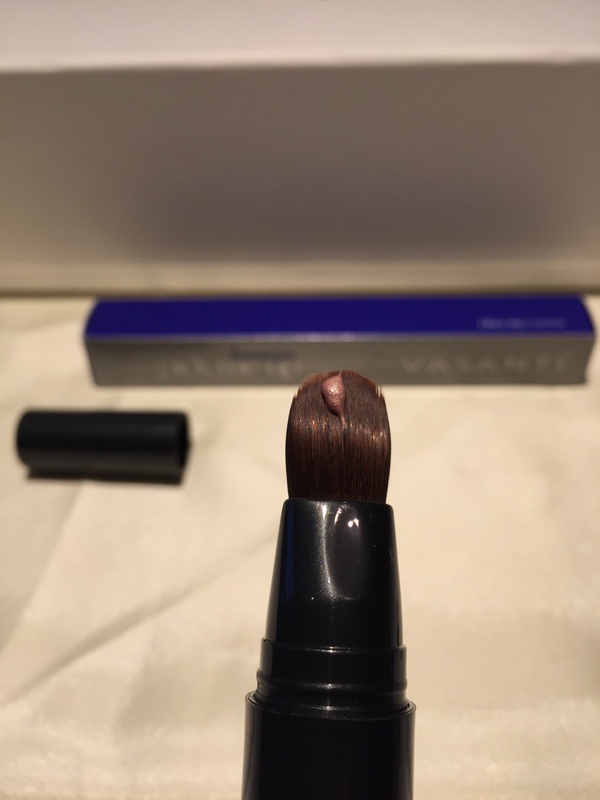 I might use it anyway because the color is very natural. I also noted that it smells like strawberries. These colors are beautiful! Elizabeth Arden products tend to be on the expensive side but I believe it is worth it here. 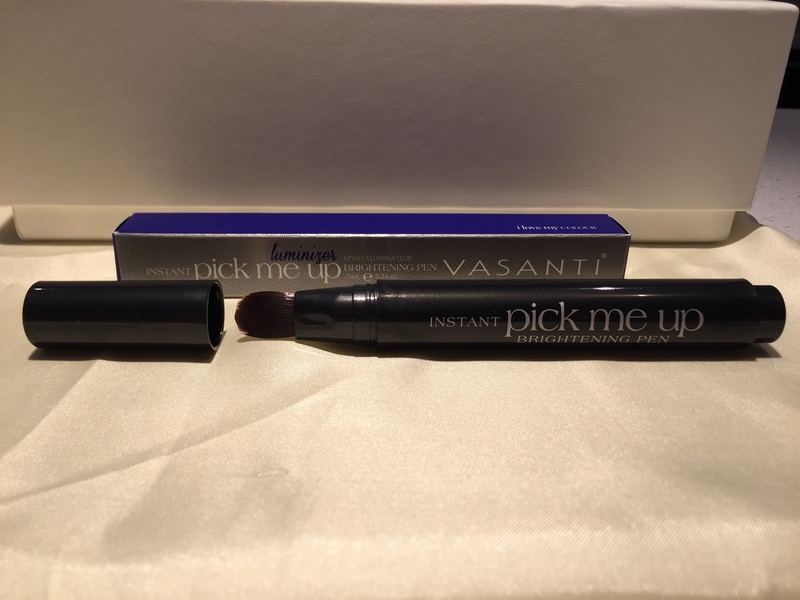 The texture is like and buttery and the pigmentation is very nice. I didn’t use the lip liner brush. When I put it on, I felt a tangling sensation on my skin, and I do not know if that is normal or not. Also, as it dried it felt as if there was a layer of product drying on my skin. 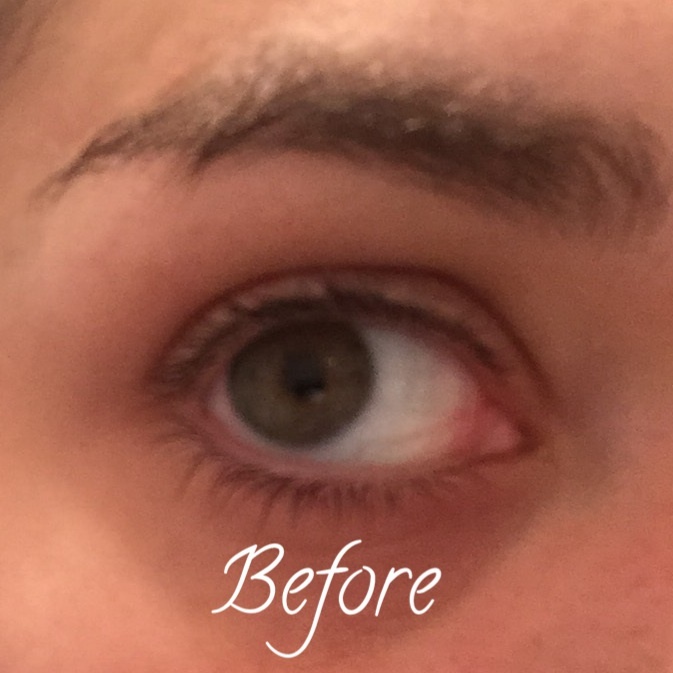 It is not because I put too much product either. After a while the sensation disappeared., and my skin feels soft. It makes me question what ingredients are in here or if this product is really for me. To be honest, I thought this would be like a concealer. I had no idea what to expect, and then when I swatched it and saw the color, I knew even less what to do with this. It says on the package ”A must-have for cheek bones, inner corners of eyes and brow bone”. I was Skeptic to try it due to the color but I must say it adds just a little bit of shimmer. I tried to take a picture but you cannot see it very well. It’s an extra little touch that makes you sparkle! 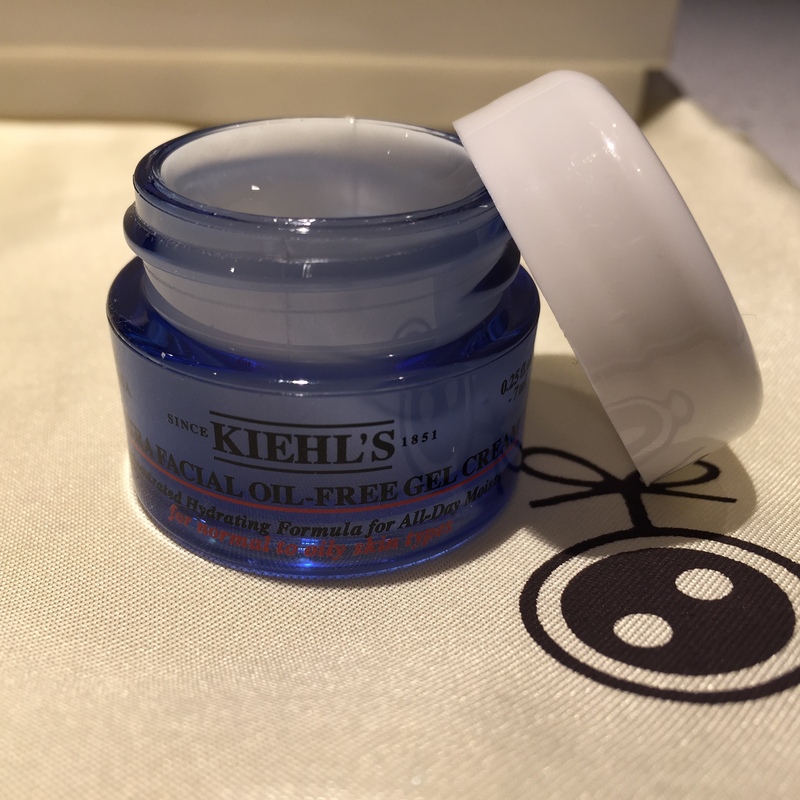 It was a nice box I think the only product I will not use again is the Kiehl’s cream. 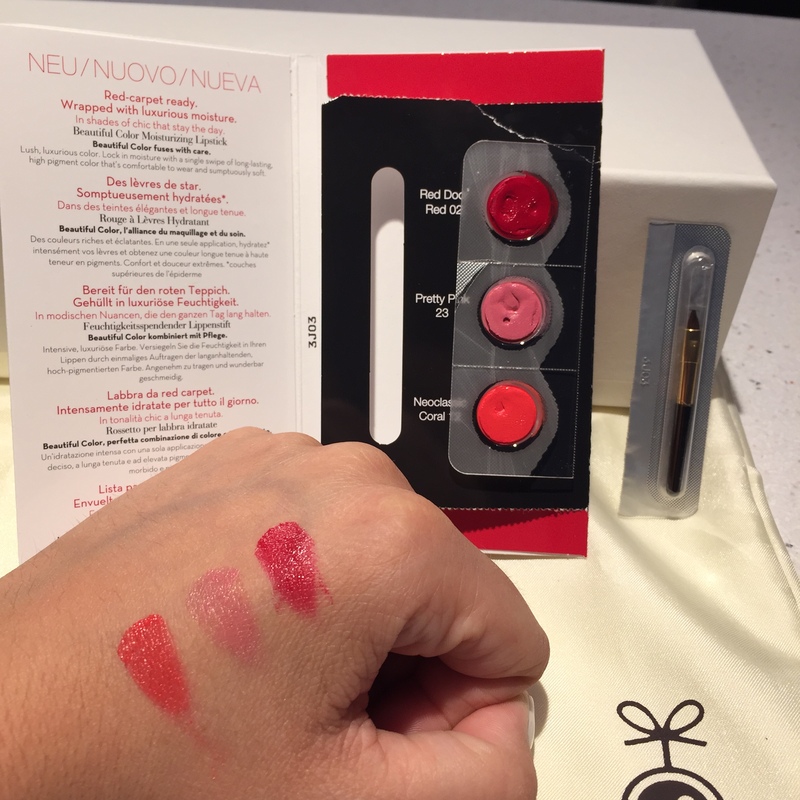 I find that the samples were smaller than my previous box but it is a detail. I cannot wait for the next one! 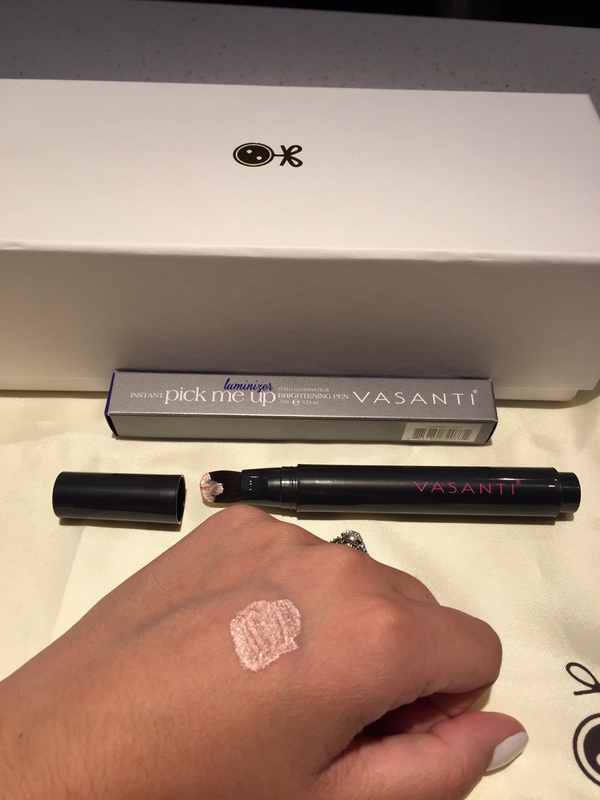 If you haven’t already, check out my Luxe Box – Spring 2015 post. Am I wrong to think the Pick Me Up Luminizer is supposed to work like a highlighter? Thank you so much for the comment! And yes you are absolutly right, it does work like a liquid hightlighter. Surprisingly enough, it is very light. The highlighter refuses to come down to the brush for me! How did you get yours to work? I pumped and pumped, but nothing. That is weird! I simply pumped it a few times. Try leaving it upside down, in a pen holder or a glass for a day or two. I hope it will work!